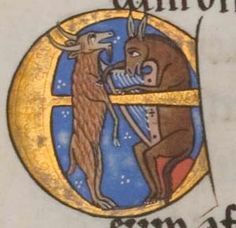 A donkey plays a harp while a goat sings, from the Hunterian or York Psalter, 1170. The bray harp is not a sound modern ears are used to, and even most early music groups with harps don’t use the period instrument, yet it was the standard European harp of the late medieval, renaissance and early baroque periods, from the 15th century to the 1630s, and still used until the late 18th century in some places. The bray harp gets its name from the L shaped wooden pins at the base of the strings, positioned so the strings buzz against them as they vibrate: the effect was said to sound like a donkey’s bray. It’s an older idea than the bray harp, one shared by the oldest surviving stringed instruments, made four and a half thousand years ago. This article traces the earliest evidence for the European harp, leading to the origins and popular rise of the bray harp specifically. We ask why there is so little surviving early harp music and try to come to a feasible historical answer; and along the way take in Pictish stones, illuminated Psalters, Geoffrey Chaucer, harp-playing angels and an ape playing a rota, with a video of the harp being brayed.